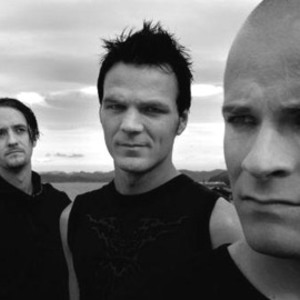 Pride and Fall is a Norwegian electronic music group from Stavanger, formed in 2000 by Sigve Monsen (vocals/lyrics), Per Waagen (synths/programming), and Svein Joar Augl?nd Johnsen (guitar/live). The music can be described as futurepop or a club friendly approach to goth/darkwave. Pride and Fall came into being when Sigve and Svein wanted to pursue a more electronic and club-oriented sound than what they were doing in their goth/darkwave project An Evening With Kisses. As a result, Per Waagen, an old friend joined Pride and Fall as a programmer and keyboard player. Pride and Fall came into being when Sigve and Svein wanted to pursue a more electronic and club-oriented sound than what they were doing in their goth/darkwave project An Evening With Kisses. As a result, Per Waagen, an old friend joined Pride and Fall as a programmer and keyboard player. They released a demo shortly after, and in 2003, released their debut album, Nephesh, and debut single Paragon on Dependent Records in Europe, Metropolis Records in the United States, and Memento Materia in Scandinavia. Pride and Fall performed their first gigs outside of Norway in 2004, including Cyberia/X-Club in Holland, the Invitation Festival in Belgium and the Dark City Festival in Scotland. In late 2005, the band released their second single, the web-only release Border, and in 2006, their second album Elements of Silence. Along with Revolution By Night the band toured Britain in May 2006, supporting Covenant on their UK Skyshaper tour. Pride and Fall released their 3rd album, In My Time of Dying, on 17 August 2007, their final album on Dependent Records.